The Starbucks incident in which police was called because of the ‘suspicious’ behavior of two African-American gentlemen might have found a follow-up in a Subway employee in Coweta County, Georgia who said she felt threatened after a black family of seven stayed in the restaurant for an hour and apparently went back and forth to the restroom. The employee shared with the police that she'd been robbed before and therefore in a moment of panic thought the family, who was coming back from a vacation celebrating their grandmother’s birthday, was going to rob her. Subway declared that she has since been placed on administrative leave. 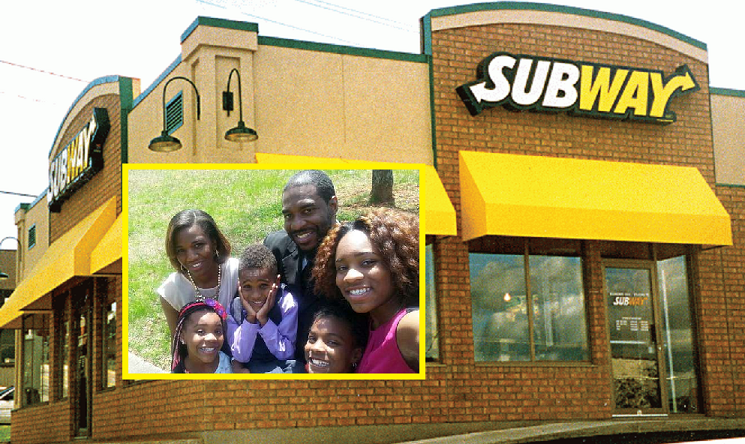 Ms. Felicia and Mr. Othniel Dobson had stopped at the Subway in question for dinner, together with their four children and Felicia's little sister. OK! she has an issue ……NOT SUBWAY. Min. Wage begets Min Effort and and a lot of other minimums. Many Subways in our area are own by a Indian or Pakistani immigrants (USA Citizens) as are many of the DQ's. These are great people that not only their families but also many locals. * The color of the Employee was never mentioned .. Was the employee a non-white? * How late at Night was this? * do we have a photo of what this family was dressed like, not the years old HS grad pic. * Also would love to see the Store video to see what the employee was looking at. ALL before reaching a final conclusion.